BBQ Chicken Chile Quesadilla - Made It. Ate It. Loved It. Yum! That is all I can say! This is the perfect week-night dinner. 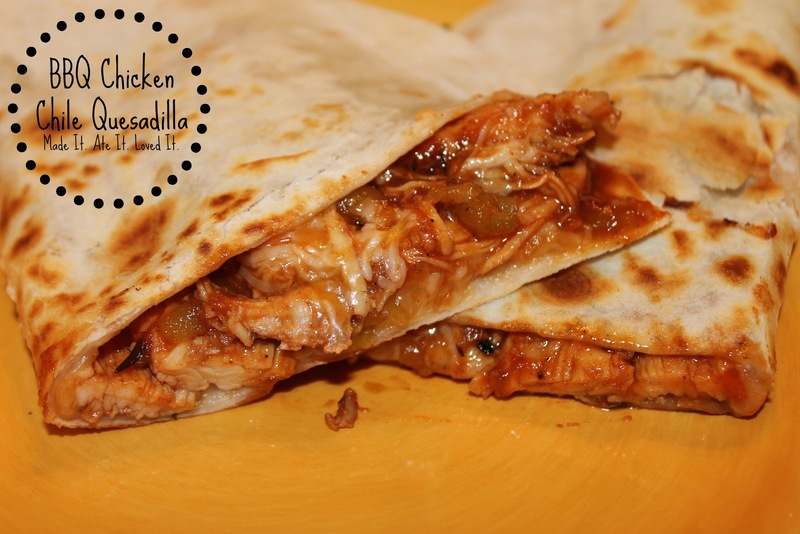 It is something different then the regular ol’ quesadillas. They are family friendly, but can also be spiced up for the men out there! These were a hit for my 5 year old and my husband! Take chicken breast and place on grill and grill until cooked all the way through. 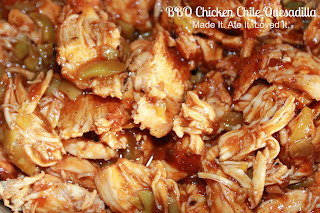 Slice and shred chicken. Or you can use your already shredded chicken. Grab a skillet and place chicken, green chiles, and BBQ sauce. Heat all the way through while mixing together. 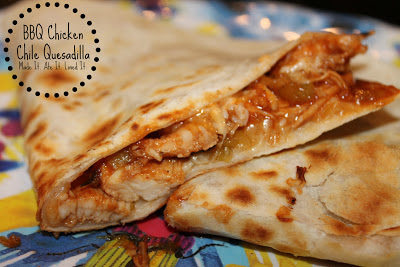 Grab tortillas and place on a sprayed griddle or in a sprayed skillet. To half of the tortilla…Add 1 handful of cheese. Let melt halfway through then add chicken mixture. Sprinkle a little more cheese on top and spread more BBQ sauce on if you are a BBQ lover. Fold over tortilla and wait until the cheese is all the way melted. Remove from griddle or skillet. Cut half or in fourths. We like to dip ours in sour cream. I even dip mine in a little BBQ too! Enjoy! Thanks for sharing with us all on Tutorial Thursdays Linky Party. I've started making bbq pizza a lot and it's been a hit. I'll have to try this one too!